Also at the meeting, a Mariners executive noted the team had not made progress getting a new naming rights deal after the Safeco sponsorship expires at the end of this year, setting up the possibility that the ballpark would keep the Safeco Field name, anyway, next year. 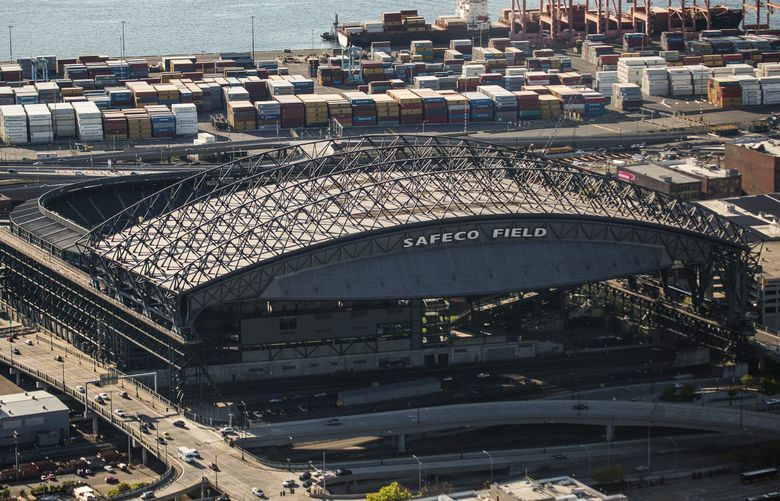 The Metropolitan King County Council on Wednesday again voiced concerns over the Mariners’ request for $180 million in public funds for Safeco Field but delayed any decisions for at least a week. The hearing was the council’s second since the Mariners and the Public Facilities District that oversees the stadium reached a tentative deal in May for a new 25-year lease. The Mariners’ lease at the ballpark expires at the end of this year, but the team has said it won’t sign the deal unless it receives $180 million in motel and hotel taxes that will be freed up starting in 2021 when bonds used to pay for CenturyLink Field are paid off. The team said it needs the money for capital projects as part of a broader plan to pour $800 million into the 19-year-old stadium over the next quarter century. But some critics on the council and housing advocates have argued the team can afford to pay for its own work and tax funds would better be used to build affordable housing. Wednesday morning’s meeting was to include a possible vote, but officials called for a follow-up hearing Sept. 5. At the meeting, Councilmember Larry Gossett noted he supported Councilmember Jeanne Kohl-Welles’ counterproposal to cut stadium funding down to $25 million and use the rest for affordable housing. “It is very reasonable,” Gossett said. Councilmembers Dave Upthegrove and Rod Dembowski have also been critical of the full Safeco funding plan, while Councilmen Joe McDermott and Pete von Reichbauer are supportive. Three other council members appear undecided: Claudia Balducci has said she hasn’t reached a decision, while Kathy Lambert hasn’t weighed in publicly and was absent from Wednesday’s meeting, and Reagan Dunn also hasn’t offered comments on the issue and missed most of the hearing. As was the case during the first meeting a month ago, the council chambers were packed with an overflow crowd of about 100 people — mostly affordable-housing advocates but also plenty of Mariners business supporters. The Mariners have said if the county rejects the public funds it would negotiate a short-term lease to stay at Safeco next season while it tries to work out a different long-term deal. Also at the meeting, Mariners legal counsel Fred Rivera said the team has yet to find a new naming-rights partner for the ballpark after the existing deal with Safeco Insurance expires at the end of this year. Safeco announced this past year it would not extend the naming rights, a key revenue source for the team. “At this time we have nothing to sell,” Rivera said, noting the team had no guaranteed lease after the end of the year. He said one option is for the team to keep the Safeco Field name next year anyway, even without Safeco’s sponsorship, similar to how KeyArena kept its name after the naming rights deal with Key Bank ended earlier this decade.